Lupus is an autoimmune condition which causes a range of symptoms, from mild to severe, and can affect many different parts of the body. Symptoms may come and go, or “flare up” – this is when they feel particularly bad. Systemic Lupus Erythematosus (SLE) is the condition most people refer to when they mention “lupus” and this article will focus mainly on this form. Systemic refers to the fact that many body parts can be affected in this condition. Discoid Lupus Erythematosus is a chronic skin condition causing red, raised rashes most commonly on the face. Subacute Cutaneous Lupus Erythematosus is a skin condition caused by sun exposure. Drug-induced Lupus is caused by certain medications and will disappear once you stop taking the medication causing it. Neonatal Lupus is a very rare condition affecting new-born babies, most commonly, of mothers with SLE or Sjogren’s syndrome. What Are The Symptoms of Lupus (SLE)? If you have any of the above symptoms or think you may have lupus (SLE) you should contact your GP for a diagnosis. SLE is an autoimmune condition, which means that the body’s own immune system starts attacking healthy tissues and organs, causing inflammation. The reason behind this is still unknown, however it is thought that a combination of genetic and environmental factors may lead to the development of SLE. SLE is most common in females of African, Caribbean or Asian origin during childbearing years. Diagnosing SLE can be difficult due to the wide range of symptoms that may come and go. If your doctor suspects you may have lupus, they will order a number of blood tests to check for inflammation and immune system function – in particular, looking for auto-immune antibodies, for example, anti-DNA antibodies or anti-nuclear antibodies. Unfortunately, there is no cure for SLE. However, treatment and lifestyle advice can help manage symptoms and make it easier to deal with. Sunlight often worsens symptoms, particularly any rashes. Therefore, it is recommended that you protect yourself from the sun by putting on sun cream, clothing that covers skin, sun hats and sunglasses. As one of the main sources of vitamin D is from direct sunlight, you may also be recommended to take vitamin D supplements or to ensure your diet contains plenty of it. Vitamin D deficiency can cause osteoporosis. Muscle and joint pain can be relieved by a group of medications called Non-steroidal anti-inflammatory drugs (NSAIDs). Certain NSAIDs, such as ibuprofen, are available over the counter from the pharmacist. You can also contact your GP for advice on which NSAIDs are best for you. Moreover, if NSAIDs are not strong enough to relieve your pain, your GP may prescribe some stronger pain medication. Hydroxychloroquine, is a drug often prescribed to people with SLE as it helps relieve some symptoms such as rashes, joint pain and tiredness; and prevents the risk of flare ups. If you have relatively severe SLE, or if you are having a flare-up, you may be prescribed corticosteroids. In the case of the latter, a course of corticosteroids can help get your symptoms back under control. Immunosuppressant drugs may also be recommended, either instead of or alongside corticosteroid treatment. These drugs suppress the immune system and stop your immune system attacking healthy body tissues, which will help improve symptoms. Biologic drugs such as Belimumab, also help control the immune system by targeting “B-cells” – a type of white blood cell which is overactive in SLE. Your doctor may recommend these if no other treatments have worked. Although SLE treatment is usually managed by your specialist, there are many online resources that can provide useful information. In its more serious form, lupus can cause complications that may even be life-threatening. Kidney damage caused by chronic inflammation, may not cause any symptoms, but may lead to kidney failure. Your healthcare plan will include regular blood tests to monitor your kidney function. SLE increases the risk of cardiovascular disease (CVD). CVD includes angina, coronary artery disease, heart attack and stroke. Your healthcare team will recommend healthy lifestyle changes like cutting down on smoking, eating healthily and exercising regularly to decrease your risk of CVD. SLE can also increase the risk of pregnancy related complications such as pre-eclampsia, premature labour, miscarriage and stillbirth. If you are planning on starting a family, you should contact your doctor or GP to carefully plan your pregnancy. Lupus (SLE) can increase your risk of pregnancy related complications. If you are planning on starting a family, you should discuss this with your doctor. 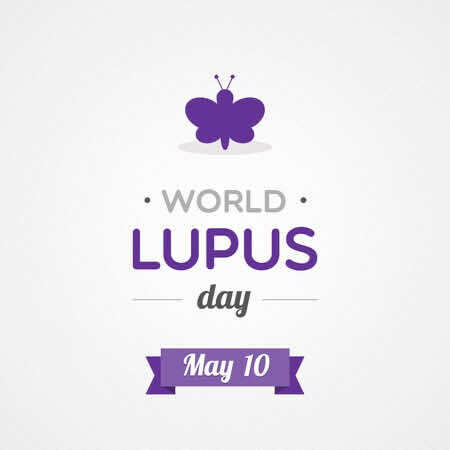 Living with Lupus can be challenging both physically and mentally, it is important to remember that many people with lupus live relatively normal lives. The healthcare team treating you will do their best to support and advise you throughout your treatment. For more information on how to manage lupus visit the links in these articles, or speak to your doctor. To book a private doctors appointment at LDC, simply select your closest GP surgery (with 9 London clinics, we should never be too far away when you’re in search of a “GP near me“) and call or book online!